Home Girls Glamour My One Year Journey of Blogging! My One Year Journey of Blogging! I am super excited to share my happiness with you all as today I am celebrating the first Anniversary of my blog GIRLSGLAMOUR! I have moved one step ahead in this beautiful and gigantic world of writing. While sharing my thoughts and ideas, I didn’t even realize that time goes by so fast. Just a small idea of writing into journals has grown to this beautiful blog of ours. This would not have been possible without my dear hubby PANKAJ BHATT whose endless support and motivation have made us reach so far and one of our regular author and my dearest sister ANKITA JOSHI who writes beautiful articles. We all are working as a team at GIRLS GLAMOUR to bring meaningful content to our readers. We have published about 250+ articles on our blog in our first year and hope to write more and more. Over this time I have connected with other wonderful bloggers who have helped and directed me when I was a newbie to blogging. Reading their articles has always inspired me and increased my knowledge about blogging. We research thoroughly and work hard to bring quality content to our readers. We also received Liebster Award and Bloggers Recognition Award by other bloggers who appreciated our work. Completing this wonderful journey makes us feel proud and devoted to work harder each day and motivate and inspire readers and bloggers who want to pen down their thoughts. But as it is said…IT’S JUST THE BEGINNING AND THE BEST IS YET TO COME. Until now, the journey was filled with lots of learning and dedication as it’s not that easy for an amateur like me but hoping for good things to come and staying positive is my mantra. Among all the articles published on our blog, here I bring you the top 10 most viewed articles which are liked and appreciated by our readers. This delicious dessert is the most viewed recipe of all time. Rabri Malpua is often made at my house as the recipe is passed from generations. Made with very few and simple ingredients found in any Indian home, this dessert will surely bring many compliments. Some of the other recipes like Mango Kalakand, Chole Bhature, and Eggless Brownies were liked by readers but this one made it to the top of the list. This article is written by HIMANI JOSHI on Father’s Day where she shared the beautiful relation between a father and a daughter. This article shows how much she loves her father and the same love she is getting in return. We have articles on national and international days like Nelson Mandela Day, Republic Day, Independence Day and so on… but this article was loved by viewers. Money plant was included in the category of decor and Vastu at home. Growing money plant is no big thing for any plant lover but knowing the facts and the positivity the plant brings into one’s house is known by very few. This article brings in the Art and Culture from India which is followed from ages but now it is modified in a new way and appreciated internationally. This was one of my favorite posts as I love creativity and this art is a total creative art. The grand Indian wedding has so many beautiful rituals, and one of them is wearing red. A red color for a bride is believed to be auspicious. Though the trend is changed and brought in new brighter shades, yet many brides love red to be their color of the day. Don’t you think brides wearing red dress look better than any other color? Over these years Patanjali has given a tough competition to other companies and grew vast with a tremendous speed. Though some of their products are expensive, the shoppers have trusted this brand as it brings products made with natural ingredients. I got an idea of this post watching Deepika Padukone’s advertisement with black and white striped dress for Cadbury. She looked very pretty and I loved this pattern and tried on myself. It is a good choice to get some change in your regular clothing style. This is a common problem everyone from a young child to an adult gets affected with. Health always comes first and to overcome any health issue is one’s priority. It can be very painful for the one who suffers from muscle spasm. I have brought you the various causes and remedies to control the muscle cramps of the legs. We as Indians are attached to our roots and customs and when we talk about music and dance, how can we forget about our classical dance forms. So I personally want to share with my readers the classical dance post which was nicely written by KANAN BHATT – a Bharatanatyam Dancer from Surat. Ayurveda is one of the oldest forms of medicines in the world. There are many ingredients in our day to day cooking that has Ayurvedic health benefits. This post was written to explain the importance of Honey so that you can incorporate into your daily diet. Likewise, Turmeric, Flax Seed, Ginger and other posts were published but this was viewed the most by the readers. To select the top 10 articles was not easy for me as every article is published after detailed study and research and then shared it through different social media. I would like to thank my family and my blogger friends who have always encouraged me on this beautiful path of Blogging. It has been a wonderful journey till now, and I hope to continue the same. Thank you to all our Readers, Followers and Subscribers for supporting, encouraging & being with us!  I would especially like to thank our Guest Writer’s Lawson 14, dancingstar, Rashi Bhatt, Himani Joshi, Nikita Sanghvi, Bushra, Aditi Kapoor for their contribution in Girls Glamour in this initial stage and showing their interest and faith on us.